Senior Architectural Systems has added weight to its range of high performance fenestration solutions by developing its largest, strongest and most flexible aluminium door system to date – the new PURe® Commercial Door. The launch of the new PURe® Commercial Door will strengthen Senior’s existing range of commercial aluminium doors, which includes the popular SD, SPW600e, SPW500 and SPW501 systems, providing specifiers with a high performance solution for all applications and project requirements. Available as a standard, electronic-locking and panic-exit system, Senior’s new commercial door system offers exceptional flexibility and a wide range of door stiles, allowing it to be specified in a range of different configurations and design options. 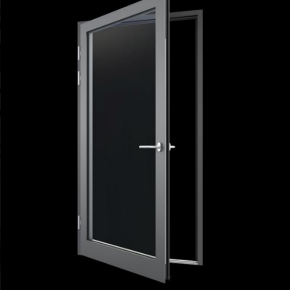 Designed to perform up to a maximum leaf size of 1400mm x 3000m and 180Kg, the robust PURe® Commercial door system can achieve U-Values as low as 0.94 W/m2 K when calculated as a CEN Standard door and is able to receive double or triple glazing from 28-60mm for maximum thermal and acoustic performance. The system also features a variety of thresholds and rebates, including a double rebated low threshold option to comply with the accessibility requirements outlined in Part M of the Building Regulations. Also fully compatible with Senior’s extensive range of aluminium windows and curtain walling systems, the new PURe® Commercial Door can be specified in a virtually unlimited choice of colours and finishes both inside and out, thanks to Senior’s in-house powder coating facility. The new PURe® Commercial Door is the latest addition to Senior’s innovative PURe® range, which was launched in 2015. Awarded a UK patent in 2016, the PURe® system is the first on the UK market to benefit from an enhanced thermal barrier manufactured from expanded polyurethane foam (PUR). 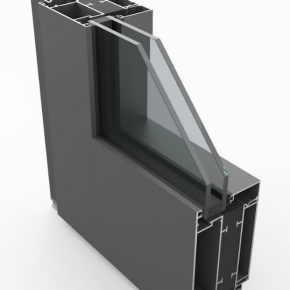 Traditionally used in cladding and insulation products, the innovative use of PUR as a thermal barrier in windows and doors gives the PURe® range the potential to offer exceptional thermal performance, with the aluminium window achieving U-values as low as 0.71W/m2 K when calculated as a commercial CEN standard window. The full PURe® range now includes a flexible range of fenestration solutions, with the new PURe® Commercial door joining Senior’s popular PURe® FOLD and PURe® SLIDE patio doors, which also includes the PURe® SLIDE triple track option, and the PURe® aluminium window, available as a casement, tilt/turn or fully reversible overswing style.